In 2011, Northampton recorded a population of over 210 thousand residents, and with more than 5,000 businesses registering in the city every year, it certainly is growing faster and faster. 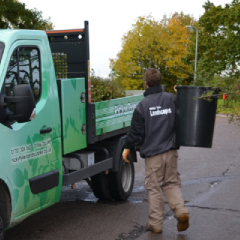 In Northampton and the surrounding areas, including Upton, Rothersthorpe and Hardingstone, there are a lot of public, natural spaces – giving Northampton and overall well-maintained look and setting the standards for both domestic and commercial ground work. As one of the largest UK cities, Northampton is home to over 100,000 businesses, including schools and care homes, both of which boast some astounding views and natural spaces. At Ricky Tyler, we know that patient and student safety is the top priority for these businesses, which is why all of our gardeners are DBS checked and provide a fully professional service when working on-site in Northampton. We view our relationships with our clients as a partnership and maintain open communication to ensure that our work does not interrupt your schedule, opening hours or planned events – we work with minimum disruption to save you time and allow you to focus on the important things – running your business. With over 14 years’ experience in gardening, landscaping and agriculture, our gardeners are fully prepared and experienced in all aspects of grounds maintenance, upkeep and lawn care, so whether you need an intensive garden overhaul, or regular, reliable maintenance, Ricky Tyler have a service and package to suit your needs. 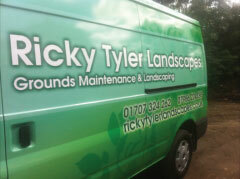 Ricky Tyler Landscapes can provide gardening and grounds maintenance services including Northampton Grounds Maintenance covering Northampton, Northamptonshire .